"Novіtnі Betonnі Tehnologії" - dynamically developing company, the market for over ten years, specializing in professional production of advanced materials for walls and trim sidewalks and frame fronts. 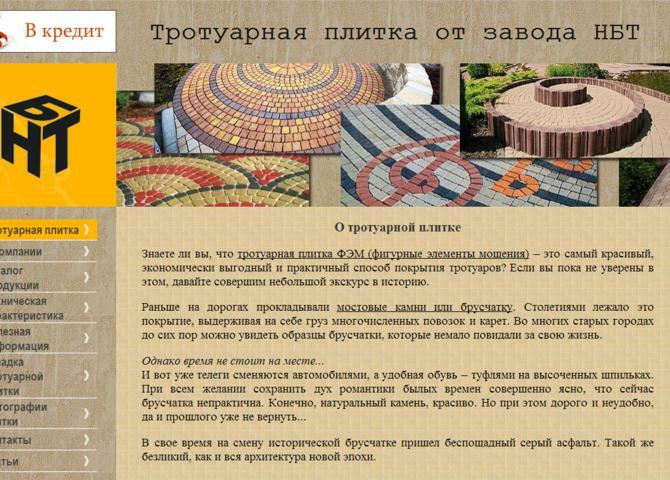 "Novіtnі Betonnі Tehnologії" - building materials manufacturer with extensive experience using a variety of technologies. We have for a long time tested various methods and techniques of production of facade tiles, paving tiles, using high quality materials. Professionalism and modern technology allows us to produce excellent finishing material for a variety of purposes and as vibrocasting vibropresovanym method.